to take the place of a well balanced meal. who their friends are and what they do. by making her children work. . .
to cook and doing other chores. by insisting that they always tell the truth. who are wiser and more sensible. grandchildren call their parents "mean." 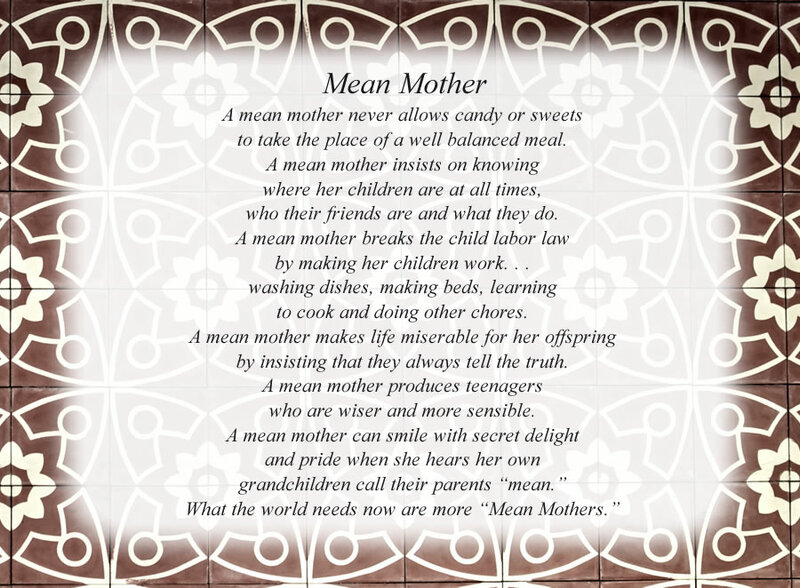 What the world needs now are more "Mean Mothers." The poem, Mean Mother, is free and printable by opening or downloading using one of the three links below.